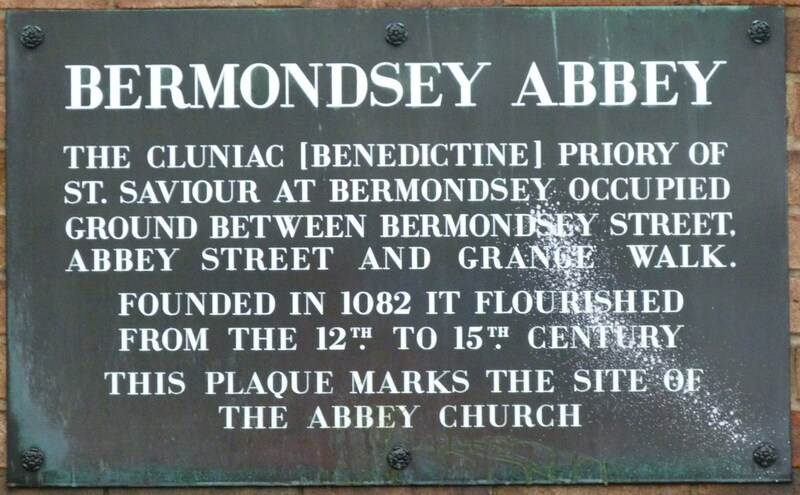 Bermondsey was first recorded as Vermundesei in around 712, and as Bermundesye in the Domesday Book of 1086. It takes its name from the Old English personal name “Beornmund” and “eg”, meaning island, or area of high and dry ground surrounded by low marsh. The Cluniac Priory and Abbey of St Saviour, or Bermondsey Abbey, was established here in 1082, dissolved by Henry VIII in 1538, and substantially demolished by Thomas Pope, Treasurer of the Court of Augmenations in 1541, to allow for the construction of Bermondsey House, which itself stood until the early nineteenth century. A plaque marks the site of the abbey church. The church of St Mary Magdalen also had its origins in the Medieval period. 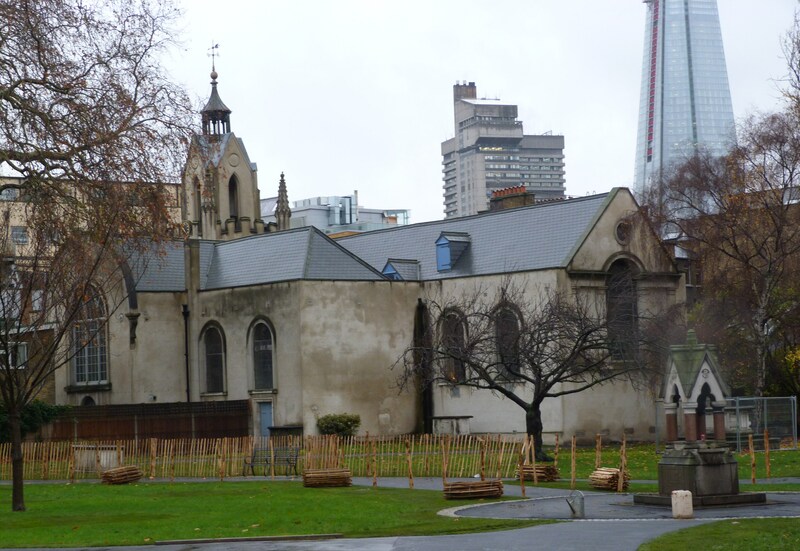 This entry was posted in Far flung London, London Churches, London History, Medieval and tagged Bermondsey Abbey on February 9, 2014 by Bob Jones - The Lost City of London. This is fascinating – thank you. Mr Bradshaw will be taking me south of the river after Day 8 of the tour in Bradshaw’s Hand Book to London, and I will ensure I visit the site, and the church, which I have not previously visited. Many thanks for your kind comments. I hope you enjoy your upcoming trip to Bermondsey, which is an area very dear to my heart now, as my son and prospective daughter-in-law live there! You might also be interested in nearby Rotherhithe (see “Maritime Rotherhithe and the Mayflower” blog posted on February 5th).